The GT-700B toolset from GOLDTOOL is a set of one hundred most useful tools, which will prove handy in the majority of simple service, mechanical and electrical works. 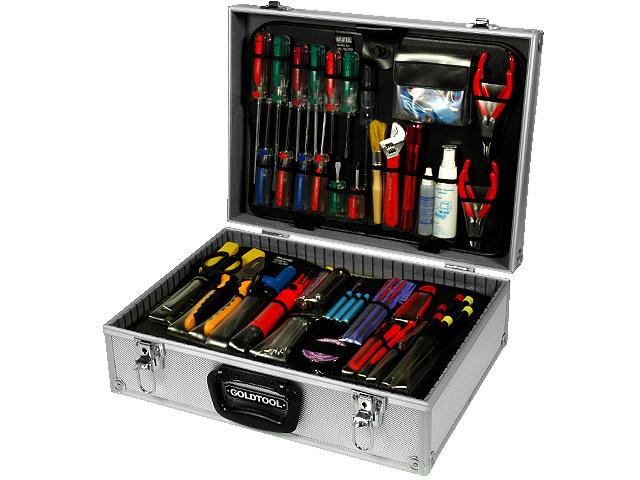 The tools come in a rugged, aluminium case, additionally protected by two key locks. Each tool features a rubber grip, thanks to which they do not move within the case during transport.